“I was inspired by the Beat Icon collection from Essential Looks. I liked the fact it incorporated simple, graphic shapes. My looks were inspired by 60’s design and the model I chose had a strong, androgynous look. I loved working on a disciplined hairstyle with my second look being more unpredictable – we smashed the shape up, created movement and dressed it to achieve a modern texture. Key products: OSIS+ Session LabelMiracle 15, OSIS+ Session Label Powder Cloud and OSIS+ Session Label Super Dry Flex Hairspray. 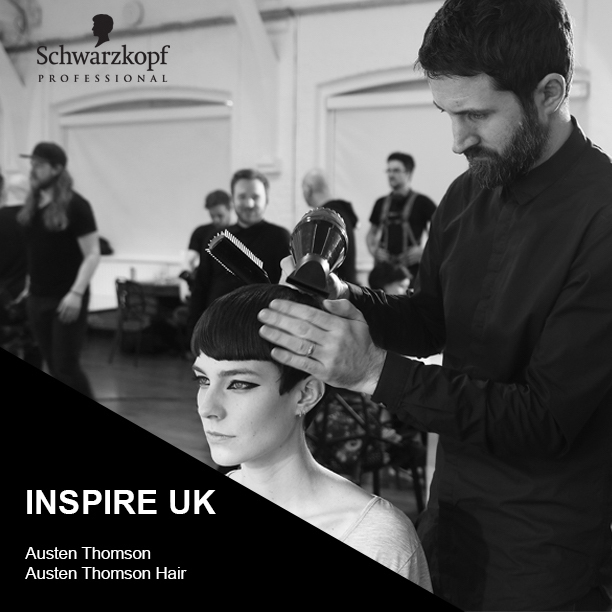 We lovehairdressing;Â we seeandÂ we hearÂ how you can become the best hairdresser, colourist and salon owner possible.Â ContactÂ us if youâ€™d like to know moreÂ about us. If itâ€™s worth talking about, youâ€™ll read it here.